India vs New Zealand, 1st T20I match preview: The men in blue have geared up to take on New Zealand in the 1st T20i match at the Wellington. Explosive batsman Rishabh Pant will join the squad back and the match is expected to be full of excitement and thrill. 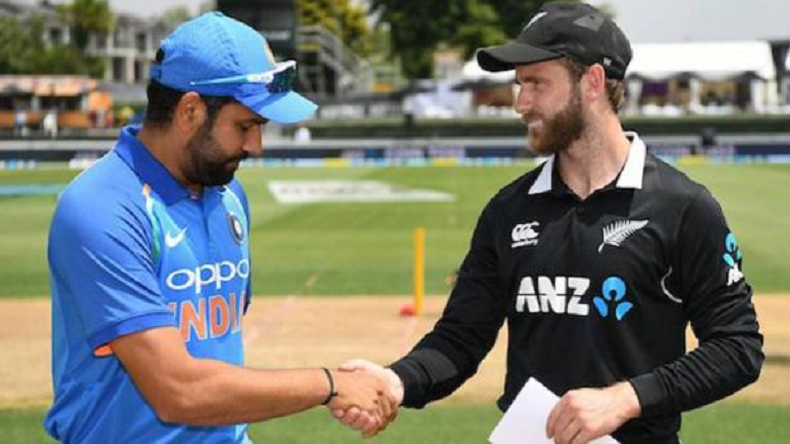 The 3 T20i matches between India and New Zealand will be played from February 6 to 10, 2019 at the Wellington, Auckland and Hamilton. New Zealand is quite formidable when it comes to T20 format, however, the Men in Blue are also in great form given their historic win in Australia in the series down under. India vs New Zealand, 1st T20I match preview: After defeating the BlackCaps in Test and ODI series, Team India will now head into the fierce short over format cricket. Virat Kohli and men are scheduled to play 3 T20I matches with New Zealand and the first match will be played on Wednesday at the Westpac Stadium in Wellington. The match will commence at 8 pm, where Kiwis will be eyeing to avenge the Test and ODI defeats. In absence of the regular skipper Virat Kohli, his deputy Rohit Sharma will be holding the throne. India’s tour of New Zealand 2019 has been successful so far as men in blue dominated the Kiwis on their soil and bagged the Test and ODI series triumphs. The 3 T20I matches will be played at the Wellington, Auckland and Hamilton between India and New Zealand from February 6 to 10. In the first T20I match, explosive batsmen Rohit Sharma, Shikhar Dhawan, Hardik Pandya and MS Dhoni are expected to entertain the spectators. The world’s no. 2 team in the T20I rankings India will lock horns with no. 6 New Zealand and raining sixes have been predicted by the cricket pundits. On the bowling front, Mohammed Shami, Bhuvneshawar Kumar, Kuldeep Yadav and Yuzvendra Chahal are set to again wreck-havoc the Kiwi batting line up. On the other side, Kiwis led by Kane Williamson will try to start the series on a winning note and dominate the visitors like 4th ODI. Martin Guptill, Kane Williamson, Ross Taylor, Doug Bracewell and Colin de Grandhomme could be the leading run-getters. BlackCaps bowling side will be led by speedster Tim Southee and Mitchell Santner, Tim Seifert, Ish Sodhi have the potential to trouble Rohit Sharma-led men in blue. India: Rohit Sharma(c), Shikhar Dhawan, Rishabh Pant, Dinesh Karthik, Kedar Jadhav, MS Dhoni, Krunal Pandya, Kuldeep Yadav, Yuzvendra Chahal, Bhuvneshwar Kumar, Siddarth Kaul, K Khaleel Ahmed, Shubman Gill, Vijay Shankar, Hardik Pandya. New Zealand: Kane Williamson (c), Doug Bracewell, Colin de Grandhomme, Ross Taylor, Lockie Ferguson, Scott Kuggeleijn, Daryl Mitchell, Colin Munro, Jimmy Neesham, Mitchell Santner, Tim Seifert, Ish Sodhi and Tim Southee.